The rotation is looking like: McGowin, Copeland, Voth, Espino, Alvarez, with Dragmire as a spot-starter and Joe Ross having been yanked up to MLB bullpen duty (replaced by Alvarez). Espino returns to the fold, having signed elsewhere as a MLFA a couple years back. The Bullpen is looking like: AAdams, Rainey, Hoover, Nuno, Self, Cordero and Bacus (recently promoted to replace Austen Williams, himself promoted to cover for MLB injuries). Who’s hot: Voth and McGowin have started well out of the rotation, Voth sporting a 16/1 K/BB ratio and McGowin 12/2. I’m liking the first start from off-season signing Copeland too. In the bullpen, Adams has 5 innings, 1 hit and 11 punch outs while Hoover has yet to give up a hit (though.. he’s walked 7 guys in 6 innings). Who’s not? Dragmire. In three appearances so far, he’s pitched 9 2/3rds innings, given up 21 hits and only struck out 3 guys. Ouch. In the bullpen, both Rainey and Hoover have more walks than Ks so far. Who’s next guy to get the call? Honestly, it might be time to give Adams another shot. His numbers merited the promotion moreso than Williams (who has the highest ERA in Fresno). Next time there’s a spot start you have to think Voth is putting his name first in line. Who’s getting the Axe? Dragmire seems to be in trouble; he’s a MLFA re-signing so I can’t imagine the team has much invested in him, especially now that Alvarez and Espino are in the AAA rotation. Rotation: Crowe, Fedde, Sharp, Mapes, Braymer*, with swingman/spot starts by Baez and MSanchez (who we get back after having flipped him for Jimmy Cordero on the AAA squad). Bullpen: Bourque, Brinley, Condra-Bogan, JMills*, RPena, Guilbeau*, ABarrett (Bacus already promoted). Great to see Barrett back here and hope he can re-contribute at the MLB level. Who’s hot: Crowe and Fedde in the rotation: Crowe’s given up just 6 baserunners in his first two starts, Fedde just 7. Mapes has an 11/1 K/BB ratio in his two starts. In the bullpen, Barrett and Condra-Bogan have been solid. Who’s not? Sterling Sharp has a 6.30 ERA through 2 starts. Bourque and Gilbeau have elevated whips but they’ve only thrown a handful of innings. Who’s next guy to get the call? I think Crowe may merit a promotion to AAA if he keeps this up for the rest of the month, perhaps to cover for injury or if one of our veteran guys exercises an opt-out. We know Fedde is staying put to serve as the Nats 6th starter. Who’s next to get the Axe? Nobody really; Sharp has the highest ERA but he’s a solid prospect who is in AA at age 23. We may have to keep an eye on Guilbeau; 2019 is his make-or-break season after two successive full seasons in high-A. Who’s hot: Tetrault and perhaps Malvin Pena in the rotation, McKinney & Fuentes in the bullpen. Who’s not? Reyes’ first start was not good. Bourne’s sporting a 2.31 whip so far. And Howard has given up 12 hits in 6 IP. Who’s next guy to get the call? Nobody really screaming for a promotion so far; if you had to pick one of each i’d go with Tetrault and Fuentes (who is just 21 but has started great). Who’s next to get the Axe? Reyes struggled last year in AA; if he can’t get guys out this year in High-A he’s not long for the league. Borne missed all of 2018 but is repeating a level and is now 25; its put up or shut up time. Lots of “tandem” starting going on, though the roles seem to have settled into the “starter” going 4-5 and the tandem guy typically going 2-3. So its likely at some point the tandem guys either move into starters or purely bullpen roles. Who’s hot: Peguero and Cate. Peguero has 10/1 K/BB in 10 IP while Cate has struck out 12 in 9. Both the “relievers” in Hagerstown have been solid: German sporting 8 Ks and a 0.75 whip in 4 games, and Fletcher an even better 0.53 whip in 3 outings. Who’s not? Alastre; the opening day starter has 11 walks and 12 hits given up in his 12 IP of work. Adon’s first start was a struggle; he’ll get another crack at it tonight before passing too much judgement. Who’s next guy to get the call? I’d promote Peguero and Fletcher first from each group. Who’s next to get the Axe? Alastre is only 20, but is repeating low-A with similar results to last year. Pantoja? I wonder if he’s been released as a 25yr old and we just havn’t seen it updated on milb.com yet. Its an annual tradition. This is my 9th annual analysis of the roster moves the Nats will do to protect players from the Rule 5 draft. See the bottom for links/summary of the first eight such posts with a quick guess as to how well i’ve done making predictions. Lets take a look at who is eligible, who might get protected and make some predictions. I’ve got the Nats 40-man roster at 35 now, so there’s plenty of room to add names and do their off-season work. But, this team also needs to sign a bunch of FAs, so perhaps the Rule5 activity will be limited. That being said, there’s some dead-weight at the end of the 40-man roster that includes some fringe players out of options for 2019 anyway, who we may try to slip through waivers as we go. Nonetheless, its something to think about. Another recurring theme while doing this research: a good number of the prospects we received back in late-season trades ended up being Rule-5 Eligible this coming off-season. I suppose it shouldn’t be too much of a surprise that we got players back in this category, but it does mean our trade bounty for some of our veterans might end up never playing a game for the Nats franchise. As always, using the indispensable Nationals resource sites Draft tracker and the Big Board, and then looking up candidate acquisitions made via trade, here’s some thoughts on who might merit protection. Also incredibly useful is Roster Resource’s Nats Roster, which keeps track of options, rule-5 status and the like. The quick Rule-5 rules for 2017; any college-aged draftee from 2015 or before who isn’t already on the 40-man roster is Rule-5 eligible this coming off season, and any high-school aged draftee/International Free Agent from 2014 or before is newly eligible this year, assuming they were at least 18 as of June 5th of that year. There’s always a couple of guys who have specific birthdays that move them up or down one way or the other; i’ll depend on the Roster Resource rules. One last thing: here was our 2018 AFL Roster: Ben Braymer, Taylor Guilbeau, Jordan Mills, Luis Reyes, Tres Barrera, Carter Kieboom, Jake Noll, Daniel Johnson. Half these guys (Guilbeau, Mills, and Reyes) are rule-5 eligible; the others (Braymer, Barrera, Kieboom, Noll and Johnson) were all 2016 draftees and thus are not part of this discussion… for this year anyway. Rhett Wiseman, 3rd round left-handed hitting OF out of Vanderbilt. Repeated High-A in 2018 and drastically improved his OPS, but it seems to be on the back of perhaps going for more of an all or nothing approach: he increased his homer output, but also struck out 122 times in 407 PAs. The team invested a big bonus in him, and it hasn’t panned out. I really liked this pick at the time, but then watched him hit in the CWS that year and thought he’d have a hard time adjusting to pro pitching. So far, my amateur observation seems to be holding true. Taylor Guilbeau, LHP 10th rounder who repeated High-A this year but switched to the bullpen and halved his ERA. The team named him to the AFL roster and he excelled, giving up 2 runs in 10+ innings. Given the team’s lack of lefty arms, I’d consider Guilbeau … but then again, he’s never pitched above High-A so he seems like a safe bet not to get picked. But then again, he just manned up in the AFL in front of every scout in the game. Andrew Istler, our trade bounty from the Dodgers for Ryan Madsen. He had very solid numbers in AA in a middle relief role, even earning a stellar AAA call-up. He’s an undersized Duke grad, 23rd round pick who has done well. I wonder if his pedigree makes him less likely to get picked. Eligible but not mentioned here: Ian Sagdal, who (like Wisemann) is still in High-A and is a power-less 1B. Angelo La Bruna is a part-time SS who was a senior sign, did not appear in 2018 but is still listed as active. Matt Crownover may be lefty, but he also repeated High-A for the 3rd year in 2018. Grant Borne, Tommy Peterson and Ryan Brinley missed all of 2018 with injury. Andrew Lee basically missed all of 2017 with injury and still hasn’t even gotten out of Low-A. Jorge Pantoja has bounced around the A-levels for four years now, ending last year with a 4.68 ERA in High-A. The key college-eligible players out of this draft have long since been called into 40-man service, released or traded. Andrew Stevenson and Koda Glover are the biggest remaining names from this draft for the team. Jakson Reetz, 3rd round C from 2014. Reetz was paid a big bonus out of HS, and has basically never hit at any level. 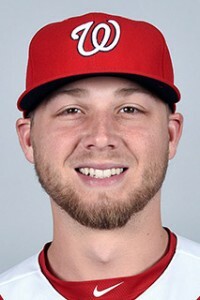 He played all of 2018 as the backup C in Potomac and slugged just .323 for the year. His career BA is .233 across 5 pro seasons and nearly a thousand plate appearances. Suffice it to say, had he not been paid $800k out of HS, he’d have been released long ago. He’s certainly not going to get picked in Rule-5. Weston Davis, RHP 11th rounder. He missed all of 2015… and then all of 2018. Through 5 full pro seasons he has just 124.2 innings pitched. He’s still hanging around, and will look to make it out of XST next year. The Nats generally don’t pick HS players, so the picking here is always slim. Joan Baez went 9-9 with a 3.79 ERA as a full time starter for Potomac this year. We’ve heard about Baez’s arm for a while. He repeated Potomac again after walking as many as he struck out in 2017, and indeed he’s improved on that ratio. I think he’s a decent bet for someone to look at, but his lack of upper-level experience probably keeps him from getting picked. Telmito Augustin, a LF who hit pretty well for High-A this year (OPS of .822). But he’s never even gotten to AA, and like many of the “holdovers” he’s a corner OF type who is competing with a ton of MLB veterans for roster spots. I don’t think he’s a threat to get drafted. 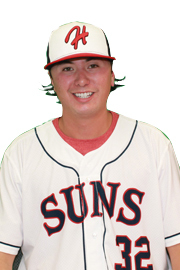 Steven Fuentes, who forced a mid-season promotion to High-A where he posted a 3.00 ERA in 45 middle-relief type innings. Andruw Monasario, the 2B prospect the Nats received from the Cubs in the Daniel Murphy trade. He was an IFA2014 signee and is newly Rule-5 eligible. He repeated High-A in 2018, has no power (6 career homers), little speed (48 SBs in 349 career minor league games), and is only mentioned here b/c he was trade bounty for Murphy. Gilbert Lara, the 3B prospect the Nats received from Milwaukee in the Gio Gonzalez trade. He played all of 2018 in Low-A, had decent numbers and is very unlikely to be taken. He’s only mentioned here for similar reasons to Monsario. Others in this category: Tomas Alastre , who posted a 5.23 ERA in 23 starts in Low-A. Malvin Pena basically missed two full seasons and only just made it to Low-A. Our biggest 2014 IFA signing is now safely ensconced on the 40-man roster; Victor Robles. Rule-5 Eligible hold-overs of note: 2014 or prior college draftees still hanging out in the system, or 2013 and prior HS/IFAs. Taylor Gushue, a 2014 Draftee out of Florida who has now made his way all the way to AAA. Even though he didn’t really hit that well in AA (.212), he still made his way to the top level of the minors. The Nats only have 3 catchers on the 40-man and one of them (Severino) has no options left, so they’re going to need some depth. I think Gushue may be a consideration to add. Drew Ward, who drew a promotion to AAA in July but struggled and was sent back to AA. I thought he was a candidate to get protected last year but he missed the draft. Now? I’d guess he slips through again, despite being a lefty corner player that the team needs to back up Ryan Zimmerman simply because there’s a glut of such veteran players on the market every year now, and they can be had for just a couple million bucks. A 40-man spot is much more valuable. I think Ward plays out his term in 2019 and makes his way to MLFA. Austin Davidson is a corner OF and 13th rounder in 2014 who is beginning to show some promise. He had a solid OPS of .846 in 94 AA games this year. But, like Ward (who is about a half a step ahead of him), he faces competition from above. Not a real threat to get drafted. Alec Keller: a 2017 17th rounder in the same boat as Ward and Davidson above him; corner OF, decent numbers, no chance of getting Rule-5’d. Tyler Mapes, a great story who continues to make waves. He was a 30th rounder in 2014, missed all of 2017 with injury but came back with a vengeance in 2018, dominating Potomac and holding his own with a 3.95 ERA in AA. I like his chances of pushing towards AAA in 2019, but don’t quite think he’s a scare to get plucked. Luis Reyes: finally made it to AA this year, and got shelled (12 starts, 5.18 ERA). Nonetheless the team included him in their AFL roster, where he got even more shelled (4 starts, 12 innings, 22 runs allowed). I think whatever jeopardy he had of getting picked is long gone. Jordan Mills: a 2017 MLFA signing who really came on this year as a lefty reliever in AA. He was also sent to AFL in perhaps a final audition for the bigger club; there he did pretty well, holding his WHIP under 1.00. I think he’s one to protect. James Bourque was (finally?) moved to the bullpen in 2018 and immediately turned into a monster: he struck out 52 in 33 high-A innings, got moved to AA and posted a 0.92 ERA in 19 2/3rds innings. I think he shows a ton of promise; enough to protect? Others in this category: Aldrem Corredor, a 1B who has hung around since 2012 in the system. David Masters completed his *fourth straight* season in Potomac in 2018. Dakota Bacus has been on this list for 3 years running, is now a 27-yr old RHP middle reliever just completing his 4th season in AA. Jose Marmolejos i suppose theoretically is still eligible; he was on the 40-man, got outrighted in July and subsequently had a sub .700 OPS in AAA (low for a 1B). Austen Williams got added late in the year; he would have been in this category. So, who would I protect? Who would I additionally consider? District On Deck thinks Bourque is a lock, Augustin and Ward under consideration. MLB.com listed every organization’s top ranked prospects who are Rule5 Eligible: Augustin, Bourque, Alastre, Marmolejos and Ward are top-30 prospects being exposed. TalkNats has a bunch of the players listed but doesn’t make a prediction; seems to imply they think Bourque, Istler, and Agustin might get protected. WP’s Chelsea Jane seems to suggest Marmolejos, Augustin, Bourque, plus perhaps others. For a fun trip down memory lane, here’s the same Rule 5 Protection analysis post for 2017, 2016, 2015, 2014, 2013, 2012, 2011, and 2010. 2018: Predicted: Bourque, Mills,Istler. Actual: just Bourque. 2017: Predicted: Gutierrez, Gushue, Ward, Baez. Actual: Gutierrez and Jefry Rodriguez. I havn’t been doing regular check-ins with the minor league staffs for a few years, but I have always maintained little “cheat sheet” notes on the staffs of the levels day in/day out (thanks in no small part to the daily work of Luke Erickson over at Nationals Prospects of course). It occurred to me, doing updates this week, that the four full season rotations have been about as stable as I can ever remember them this year. So I thought i’d do a quick swing through the four staffs, with quick notes on who has looked good or bad and what we may see in terms of movement going forward. Rotation thoughts: A month in and the only change we’ve seen to the AAA rotation was the flipping of Milone and Voth thanks to Voth’s brief call-up earlier this week. Voth has absolutely re-made his career so far this year, going from possible “first man to be DFA’d” off the 40-man to a guy who is forcing his way into the conversation the next time the Nats need a starter. For May he’s posted a 0.76 ERA, a 0.68 WHIP, has a 30/3 K/BB ratio in 23 innings and has given up just 13 hits. Man, is he found gold for a team who has traded away an awful lot of pitching prospects over the past couple of seasons? The veteran insurance policies Jackson and Milone are both pitching about as I’d expect them to be: Milone slightly better, with better base-runner control, Jackson with more wildness and worse stats. Erick Fedde has not been either good or bad, giving up a hit an inning and maintaining a 4-1 K-BB ratio but not showing any real dominance. My guess is that he’ll be sticking in AAA for a while. The last guy in the rotation may be the most interesting: Cesar Vargas was a low-key spring MLFA signing after bouncing around San Diego’s system last year. He’s come out in 2018 looking serviceable and might be putting himself ahead of the veterans in the pecking order. Bullpen thoughts: John Simms has looked great in a long-man role. He’s quietly been serviceable at every level in his journey upwards and you have to wonder if he’ll eventually push for a 9/1 call up. Most of the rest of the bullpen is too SSS to make real judgements, though we have seen three relievers get pushed to the majors right now (Torres, Gott, Suero) and fourth who was up and is now in AAA (Adams). Cordero still shows the same issues that have plagued him for a while; he’s got 16/8 K/BB in 11 innings. Barrett remains with the system and we hope he can get back to his former self; he’d certainly help out at the MLB level. Rotation thoughts: The only substantive change in the rotation from the first pass through was to replace Darnell with Long. Dragmire and Jefry Rodriguez have both excelled thus far, though Rodriguez’s stats look more like a guy who might be pressing for promotion (more Ks, fewer hits). Dragmire is showing more of what he displayed last year at AA and he may need the additional challenge of AAA soon. Estevez and Reyes are not faring as well thus far, with elevated ERAs and WHIPs. And Long, upon his demotion from AAA, has been poor in his three AA starts, with just 6 punch-outs and a 1.85 WHIP in 13 innings. Rodriguez seems like the first starter in line for promotion. Bullpen thoughts: Austen Williams has looked great since getting moved out of the rotation. Kaleb Fleck has some interesting stats: he’s got an 18/1 K/BB ratio in 10 innings but has an ugly 5.91 ERA (I’m sure his FIP is like 3 points lower). Fleck is too good for AA; he spent all last year in AAA and isn’t proving anything here. Bryan Harper‘s return from injury is going ok .. he’s got nearly a 2.00 WHIP though. Long serving Nats farmhand Dakota Bacus got shelled in four appearances and currently sits on the D/L; he had excellent numbers in 2017 but is getting a bit long in the tooth for AA and I wonder if he’s running out of time. One big name still sits in XST: Nick Lee, who looked promising before injuries derailed his progress. Rotation thoughts: The only change to the opening day rotation literally happened yesterday, with Mapes dropping to the D/L and (likely) McGowin (freshly taken off the AA D/L and demoted to Potomac) likely to take his place. Mapes has the best starter ERA … but the worst WHIP. Crownover may have the nicest looking stat line, with a nifty 28/4 K/BB ratio and solid peripherals. Perhaps the most important high-A arm may be Wil Crowe and so far he’s more than handling high-A; the 2017 2nd rounder has a great whip, good ratios and is looking like an excellent draft pick. Baez and Sharp fill out the rest of the rotation; both showing mid 4 ERAs and not really being good enough or bad enough to comment on thus far. The one big notable missing name here is Seth Romero, who should be featuring in this rotation as we speak but instead apparently still sits not at XST but at home in Houston. Its hard to prove the “i told you so” guys wrong when it literally took less than a season for his well-publicized maturity issues to come to the forefront. Bullpen thoughts: Some good and some bad in the bullpen; Rivera and Howard have gotten dinged so far, while Bourque, Mills and Pantoja look solid. Bourque in particular now boasts a 22/4 K/BB ratio in 12 relief innings; like that ratio. 36th rounder Klobosits still looking solid; how exactly was he still around that late in the draft if he’s already succeeding in high-A? Rotation thoughts: It was clear to this observer that the first few turns through the rotation were in the “tandem starter” configuration, with each of the names in the “opening rotation” throwing roughly 3-4 innings each. That has now settled into the current 6-man rotation, all of which now seem to be getting the lion’s share of the innings each time through. Of the “starters,” only really Raquet has acquitted himself well, though i’m concerned about the lack of swing and miss in his game (19/8 K/BB ratio in 27 innings supporting a 2.28 ERA and a 1.05 whip). The rest of the starters are struggling: Stoeckinger hasn’t walked a soul yet in 24 innings … .but has given up 37 hits for an ugly 7.50 ERA. Tetreault, Alastre and Acevedo each have ERAs north of 7.00. Troop and Hill (both 2017 top-10 round draftees) have been less bad but have room for improvement. Bullpen thoughts: There’s really only a couple of real “relievers” in Low-A, but one of them has been quite solid. McKinney has a 14/1 K/BB ratio in just 8 2/3 innings and has yet to give up an earned run. There’s still a slew of guys technically in “XST” or assigned to the Short-A roster who could fill in here, most of whom have prior Low-A experience and could contribute. That’s a quick run through the systems. Did anyone want to point out someone in particular who they think needs to be talked about? The Nats havn’t (as of the moment of publishing this post) announced any 2017 class signings … but they did on 6/19/17 post a slew of transactions to the New York Penn League transactions page, which included (nearly) their entire pitching staff. Those transactions coupled with the official posting of the Auburn roster on their twitter page (@Doubledays if you’re not following) confirm the opening day roster for the Auburn Short-season squad. Tomas Alastre, 19. RHP 2015 IFA signing (Venezuela). Was in the GCL in 2016, where he threw 19 innings in total and had an ERA north of 5.00. Young for Short A as a 19-yr old. Joseph Baltrip, 22. RHP 2016 24th round pick out of Juco. Was in GCL last year, working as a late-inning reliever with good results (1.36 ERA). Likely the closer or close to it. Jake Barnett , 22. LHP 2016 20th rounder out of Lewis-Clark State. Only thew 5 innings last year but didn’t hit the D/L; should be interesting to see what he does in 2017. Ben Braymer, 23. LHP 2016 18th rounder out of Auburn. Also in GCL last year, 19IP in 10 appearances. Likely a reliever. Gilberto Chu 19. LHP 2015 IFA signing (Panama). Last 2 seasons in DSL, last year he started. Matthew DeRosier 22, RHP 2013 24th round pick out of Southwestern College. 5 pro season, he started the year with Hagerstown but got bombed so this is a demotion. This will be the 4th year he’s appeared in Auburn. He was a young Juco draftee, so he’s not terribly old for the level … but in his 5 pro season he should be further along. Diomedes Eusebio 24, RHP 2010 IFA Signing (DR). Was a hitter for his first 5 pro seasons, now converting to the mound. This will be his 2nd full season on the hill; he had a 5.01 ERA in 14 relief innings in the GCL last year. Jhonatan German 22, RHP 2015 IFA signing (DR). Reliever in the GCL last year with mediocre numbers. Angel Guillen 20, RHP 2013 IFA signing (Venezuela). Pitched the last three years in the DSL, last year starting and posting a stellar 1.67 ERA. Malvin Pena 19yr old RHP 2014 IFA signing (DR). Pitched in DSL last two years; he seemed to have a serious injury though because he was on the 60-day D/L both years. Jonny Reid 21yr old LHP 2016 28th rounder out of Azusa Pacific. Got promoted from GCL->Short-A last year, starts in Auburn again. Michael Rishwain 22yr old RHP 2016 23rd rounder out of Westmont College. Solid middle relief numbers for GCL last year. Felix Taveras 21yr old 2014 IFA signing (DR). Starter the last two seasons in the DSL with bad ERA but good K/9 numbers. Kylin Turnbull, who is now 27, who has been kicking around the system since being drafted in the 4th round in 2011 and who hasn’t thrown a pro pitch since August 27th, 2014, is assigned for rehab. I suppose he’ll be in the mix for starts as well. Two additional names (Chase McDowell and Michael Sylvestri) are on the roster but listed as restricted; I believe both retired two seasons ago but are still in the database. Likely Bullpen: Baltrip as a closer, Braymer and Reid as loogies, DeRosier, Eusebio, German, MPena, Rishwain as RHP middle relievers. The 6 draftees: 5 of them are 2016 draftees and the earliest round drafted is the 18th round. All low-round, low-expectation arms. Ages: three 19yr old IFAs, mostly 21-23yr old college guys. The oldest guy is an 24yr old IFA converting to the mound. Now for the names that didn’t make this team but who were on Auburn’s staff last year or who were signed in the off-season and assigned to Auburn; you have to believe their days are numbered at this point, given that the team just drafted a ridiculous number of college arms in the 2017 draft (review to come). Wilber Pena: just 14IP last year for Auburn with a 6.75ERA; might be hurt. Yoan Aponte: signed in Nov 2016 and assigned to Auburn; no pro appearances yet. Angher Cespedes; was released a few weeks ago. Johan Gomez: signed in Mar 2017 and assigned to Auburn; already 23 so seems too old to go to GCL; may languish in XST. Kevin Mooney: UMaryland closer repeated Auburn in 2016 and didn’t make Hagerstown roster. He hasn’t been released yet but he doesn’t seem like a safe bet to carry on further. There’s a slew of other names that I had associated with the GCL who might be in the same boat: We’ll go over them when we do this post for the GCL. The posting of this roster now makes me wonder just where they plan on starting all these college arms, especially the higher profile guys. Seth Romero and Wil Crowe are way, way too good to go to the GCL, and Romero needs innings after missing half the season this spring. Do they both go straight to Hagerstown? We’ll see.